Submissions are open for the Zayed Sustainability Prize, the UAE’s preeminent sustainability awards programme designed to celebrate achievements driving impact, innovation and inspiration across five categories. Originally called the Zayed Future Energy Prize, the awards programme has broadened its scope after 10 years of successfully promoting renewable energy initiatives across the globe, to now include a wider range of solutions for sustainable development. This strategic refocus is aimed at closer alignment with the UN Sustainable Development Goals and the UAE’s developing national agenda. The five categories of the US$3 million Zayed Sustainability Prize include Health, Food, Energy, Water and Global High Schools. The winner of each category will receive a prize of US$600,000. According to His Excellency Dr. Sultan Ahmed Al Jaber, UAE Minister of State and Director General of the Zayed Sustainability Prize, projects and innovative solutions from a wider spectrum of sustainability and human development initiatives will be recognised. The Global High Schools category will also now reward youth-driven projects from a greater number of world regions. 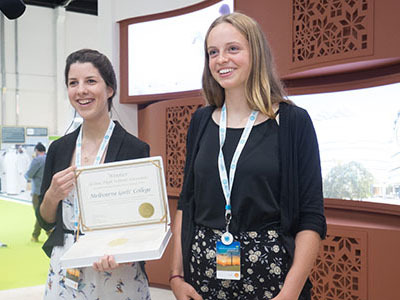 The Zayed Sustainability Prize has appointed a regional outreach partner, Business Outlook and Evaluation to facilitate entries from Australia, New Zealand and the Oceania region. The three-stage evaluation process will begin with due diligence, following which a shortlist will be created with these entries to undergo further assessment by a Selection Committee to pick the finalists. Winners for all five categories will be selected from this list of finalists. Each submission will be evaluated on the basis of: Impact (Significant and tangible outcomes on the quality of people’s lives); Innovation (Distinctive characteristics to change the ‘status quo’ and potential to catalyse opportunities that will have a disruptive positive impact and transformative change); and Inspiration (The potential to scale up project outcomes in the next decade and the ability to inspire others). Submissions are accepted online and will close on 9 August 2019. Winners will be announced at the awards ceremony during the opening of the Abu Dhabi Sustainability Week, on 14th January 2019.